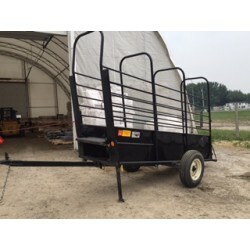 Livestock Equipment Rental There are 4 products. 2W Livestock Calf Cradle Left Helps to make branding, dehorning, castrating and vaccinating a safe and easy operation for both the calf and handler. When the side door is open, the operator has complete access to the calf. Easily loaded and fits in the back of a pick-up truck. 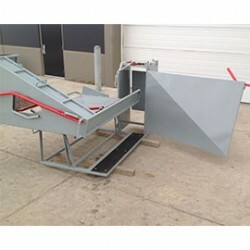 2W Livestock Calf Cradle Right Helps to make branding, dehorning, castrating and vaccinating a safe and easy operation for both calf and handler. When the side door is open, the operator has complete access to the calf. This cradle will easily fit in the back of a pick-up truck.